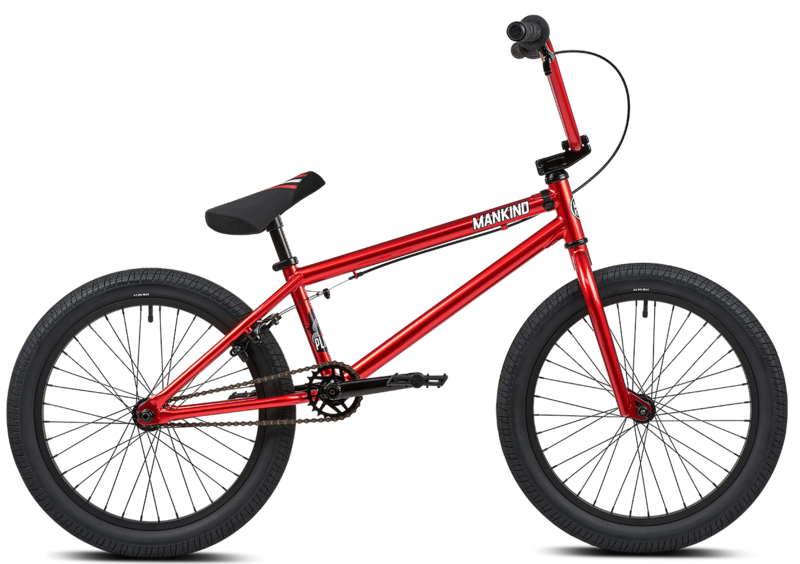 Planet 20" Chrome Red - Mankind Bike Co.
A beginner bike for the younger and smaller rider. 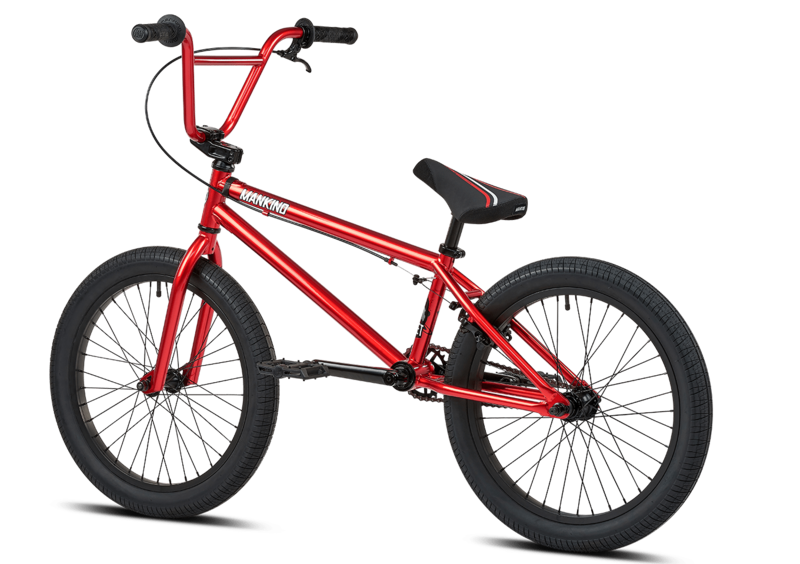 Therefore we have designed size, geometry and weight in order to make it as ideal as possible to learn to ride BMX and to have a great time. The Planet is available in 16” and 20”. The 16” is suitable for riders from about 110cm to 140cm and from appr. five to nine years of age. 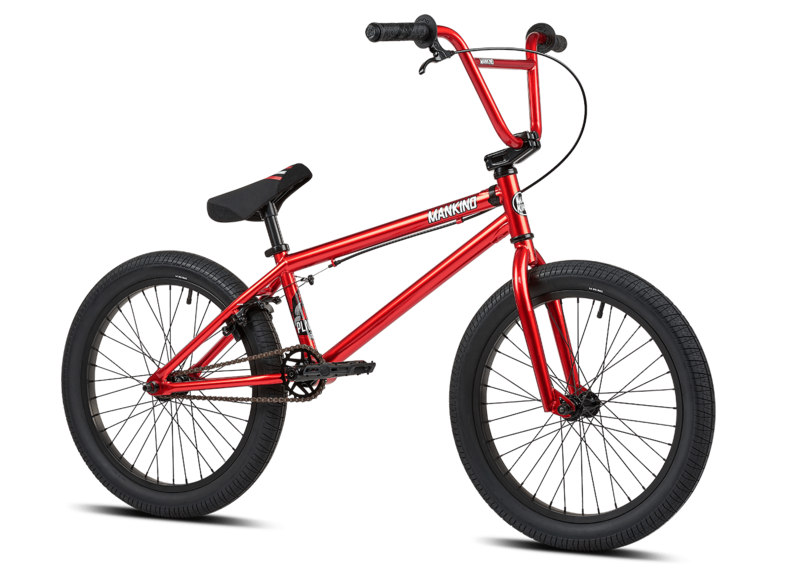 The 20” has a shorter 20.0” Top Tube and lower 8.25” bar for an easy and direct handling for the younger rider from about 150cm of size on. Mankind Planet 20" Bikes come with a fully sealed Mankind Control Cassette Hub 9t with a 14mm axle, 100% Chromoly 3-Piece Cranks with 8 Spline - 19mm Spindle, Mankind Control Alloy Top Load Stem with 50mm reach, Mankind Control Steel Sprocket 25t, Mankind Control Plastic Pedals, Mankind Top and Down Tube Gussets for more frame strength and a padded Mankind Planet Mid Seat/Post Combo with printed Planet graphics.